Full instructions are provided in the Brainwave-R modules to enable you to record your own sound files so that the exercises can be used easily with all clients. However, feedback indicates that producing these is quite time consuming. Therefore, we have produced sound files for all of the exercises that require them. (In addition Exercise 14 from the Information Processing Module is included). 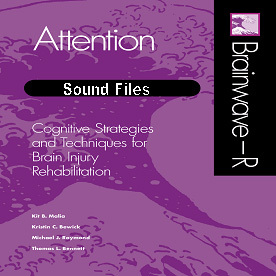 to purchase Brainwave-R Soundfiles as an individual item.